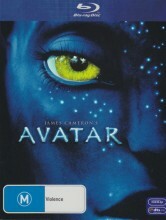 Avatar Blu Ray from DVDLand. In the epic sci-fi action adventure Avatar, James Cameron, the director of “Titanic,” takes us to a spectacular new world beyond our imagination. Click the button below to add the AVATAR (BLU RAY) to your wish list.